Long Beach is an economic hub of Southern California, a popular tourist destination and one of the most diverse areas in the country. However, like many cities, Long Beach faces challenges of working poverty, inadequate health care and polluted communities. 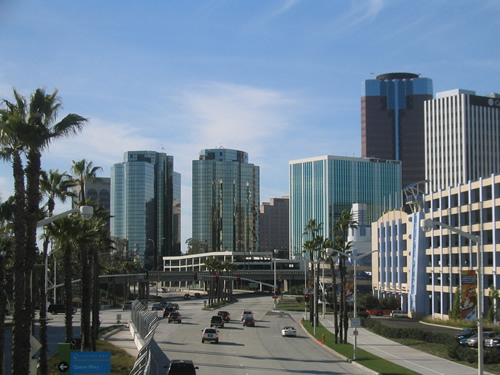 A report commissioned by the Coalition describes Long Beach as a “Tale of Two Cities.” The first Long Beach includes a vibrant, revitalized Downtown, which in April 2007 was listed as “one of the top 10 revived downtowns in the United States” by the Urban Land Institute. This Long Beach is filled with upscale hotels and plentiful tourist and retail options. Then, there is the second, less-discussed Long Beach, which consists of the surrounding working-class neighborhoods where poverty concentration was listed as 6th highest in the nation by the Brookings Institution. The unemployment rate, as of November 2009, is 13.4%. According to 2008 Census data, 19.8% of all residents and 28% of children live below the federal poverty line, an indicator of extreme poverty. Another 21% live below 200% of the federal poverty line, a measure of economic hardship. Many of these working-age adults lack health insurance as well. What emerges is a sharp divide that must be bridged. The Long Beach Coalition for Good Jobs and a Healthy Community came together in 2008 in order to advocate for good jobs, thriving communities and a healthy environment for all Long Beach families. Our vision is to create a fair and sustainable economy in Long Beach that works for everyone and in which the community is an active and integral part of the city’s overall development process. •	A process for community input and engagement in governmental decisionmaking.